miniDSP Dirac DDRC-88A. DIE Lösung für Ihre Probleme mit den Raummoden. Durch die FIR Filter wird die Phase korrigiert und es ist möglich eine vernünftige Zielkurve am Rechner festzulegen. ACHTUNG: Wir liefern grundsätzlich mit dem Bassmanagement aus. Warum? Es macht ohne Bassmanagement einfach keinen Sinn. Hier auch genau darauf achten was denn die anderen Firmen ausliefern. DIRAC Live ist nicht immer gleich. 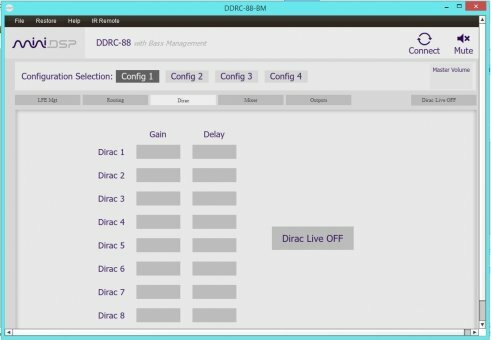 Introducing the miniDSP Dirac Series, powered by Dirac Live®, the world's premier room correction solution. We are delighted to offer you this software and hardware combination, the fruit of many years of experience in sound system tuning and extensive research and development. 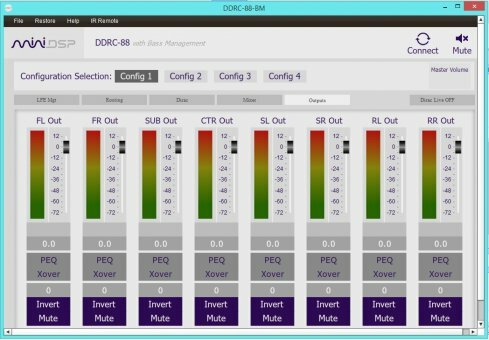 The DDRC-88A is the big brother of the stereo DDRC platform introduced early 2014. 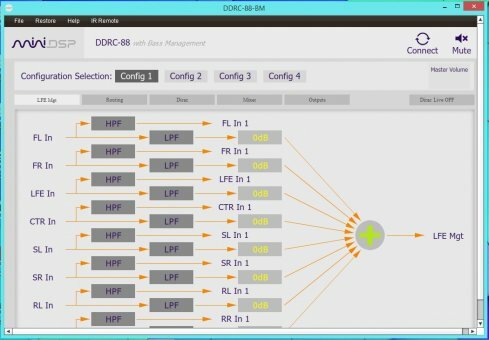 Based on our proven 8x8 DSP board and miniSHARC powerful module, the DDRC-88A combines two successful & proven platforms into a cost effective one rack unit processor. 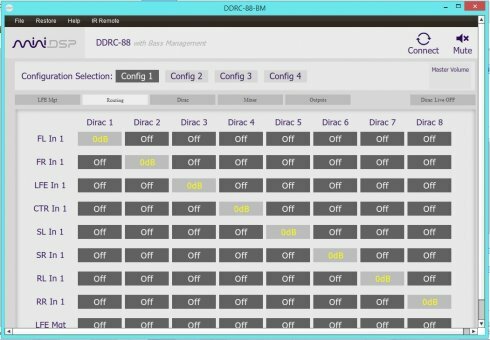 An infrared remote learning feature and the front panel rotary encoder allow for control of the DDRC-88A processor without any need for a connected PC, once the processor is configured and filters loaded. 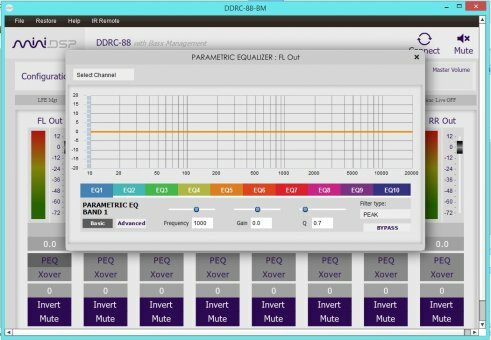 NOTE: The Dirac Live Calibration Tools Stereo for miniDSP software is only compatible with the provided UMIK-1 microphone for measurement.